Is oyerr someones name ? Is oyerr a place ? Is oyerr this or that? These are the questions that people ask when they see the oyerr gang in customized oyerr t-shirt and necklace. Surprisingly, not everyone know that oyerr.com is a subsidiary of Describe Web Technologies (dwt.ng). It is interesting to know that oyerr.com is digital product of Describe Web Technologies (dwt.ng ), not a company on its own. Oh yes, we have a physical office, presently in Uyo, Akwa Ibom State. It is necessary that you understand the bases on which oyerr.com stands. Oyerr.com is built and handled my specialized web programmers. So your job security is certain so also are the services you get from this online market. Dwt.ng is an ICT based company that specialize on web development, web design and search engine optimization /online marketing. Dwt.ng develop websites that contain millions of data as well as one that suits your business need. The SEO strategies and tools are such that can make your website rank high among numerous search results. 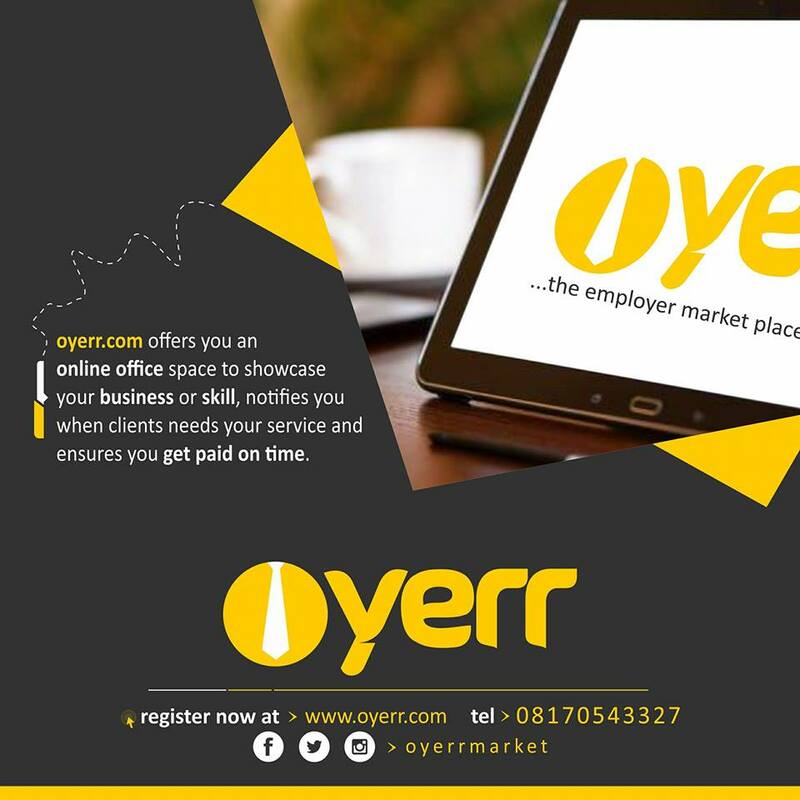 Now oyerr.com is a proud baby of dwt.ng that allows users to generate most of its contents and activities. Its is an online market website that allows freelancers to offer services to the society for a fee. What this means is that, more of the services are done online. It also means that you can hire a freelancer from our website who will do your job for you within the stipulated number of days you wish to have it. It also means that you can order your job from any part of the world no matter your location. All you need to do is to place an order for the service you need, one or more freelancers will offer to do the job for you. You are in the position to choose who does your job, basing your yardstick on the profile of the freelancers.